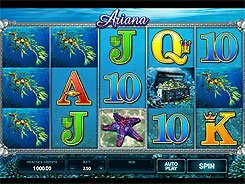 Octopays is a 5-reel underwater-themed slot based on a 243 ways to win system. 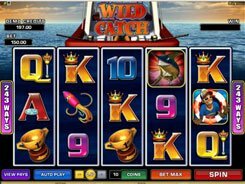 The slot has a wild symbol, free spins with an added bonus feature, and a fixed jackpot worth $4000. A bet amount ranges from $0.3 to $150 per spin. 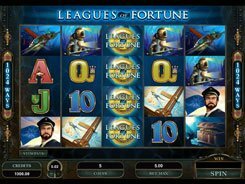 The symbols in the slot fit the sea theme and include rusty anchors, hammerhead sharks, treasure chests, diving helmets and orange octopuses; these are supplemented by standard playing card symbols. 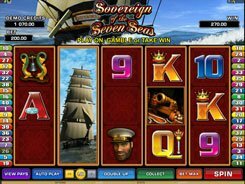 The said jackpot is awarded for five Treasure Chest symbols. The second-largest prize of $3000 is granted for the Diving Helmet symbol if five land on adjacent reels. A wild symbol (Octopus) acts as a replacement for other icons, but it occurs on reels 2 or 4 only. Besides, a wild is a bonus trigger. 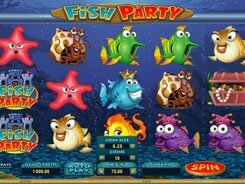 When two Octopuses land on the second and fourth reels at a time, you get 12 free spins. 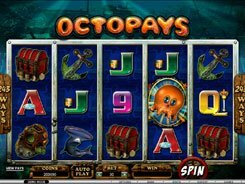 During the free spins, Kraken randomly places one or more Wild Octopuses on the reels, thus, increasing your winning chances.